Fossil has combined forces with the Movember Foundation for the third year in a row to launch an exclusive hybrid watch + digital dial that supports Movember’s commitment to men’s health. The no-charge hybrid smartwatch features a 42mm stainless steel case with a moustache-printed dial, mustache embossed strap, and smart capabilities that include activity tracking, filtered notifications, music control, and water resistance (up to 50m). 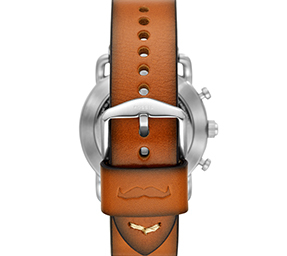 Customers who own a Fossil touchscreen smartwatch can also choose a Movember dial as part of the custom watch designs. The seasonal dial features a digital mustache that grows each day, resulting in a fine mustache by the end of the month! 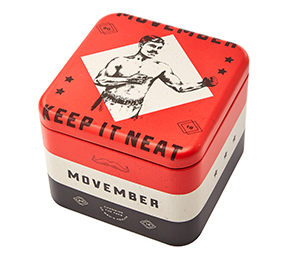 Fossil also created a signature watch tin to celebrate and honor the Movember cause. 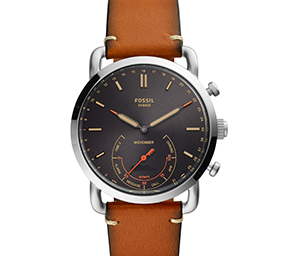 The limited-edition timepiece will be available on October 22, 2018 in select Fossil US retail stores and on www.fossil.com. 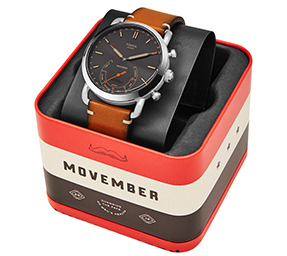 For every collaborative watch sold, 20% of the watch's retail price will be donated to the Movember Foundation.